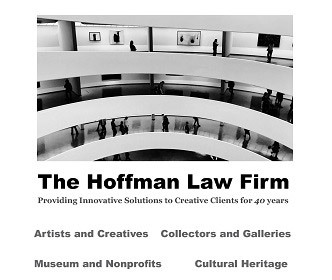 Barbara T. Hoffman is a preeminent international art lawyer with an undergraduate degree in art history. 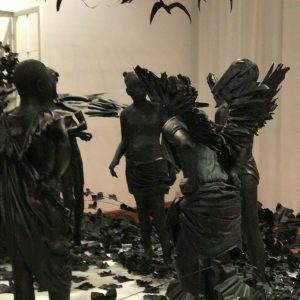 She has been a passionate follower of the contemporary art scene for years and a regular attendee at the Venice Biennale since the early 1980’s. 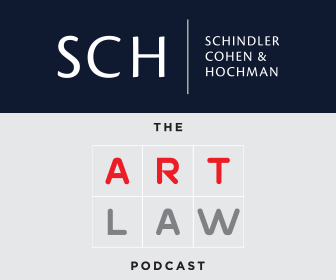 She has written frequently on law, art and politics for a variety of publications and is a member of the International Association of Art Critics as well as the attorney for AICA USA. She serves on the Board of Performa, the visual Performance Biennale. 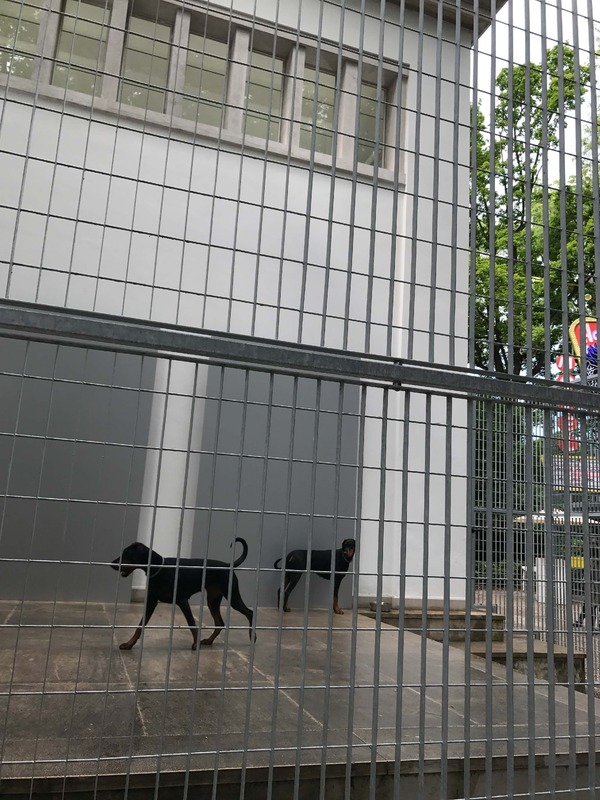 When I tell my art world friends I have just returned from the press openings of the Venice Biennale, the question almost inevitably asked is, what is it like? Is it worth a visit. My initial response is, of course, influenced by the big thematic exhibition in the Giardini, more specifically the Central Pavilion, and the Arsenale. 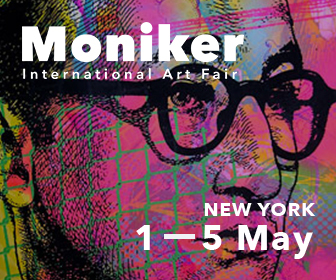 This is the International Art Exhibition, whose curator is selected by La Biennale de Venezia. Christine Macel, Pompidou Museum, was selected as the curator of the 2017 Biennale. Since 1895 when the first Art Biennale was held, the promoters – La Biennale di Venezia – have stood at the forefront of research and promotion of new contemporary art trends, organizing exhibitions and research in allied sectors including Music (1930), Cinema (1932), Theatre (1934), Architecture (1980) and Dance (1999). The 56th International Art Exhibit, organized by its first African curator, Nigerian Okwui Enwezor, was politics pure and simple, inspired by “the relationship between art and the development of the human, social, and political world, as external forces and phenomena loom large over it”, it aimed to “investigate how the tensions of the outside world act on the sensitivities and the vital and expressive energies of artists, on their desires and their inner song.” Enwezor’s All the World’s Futures was described by one critic as “an assault course of videos about global starvation, industrial pollution and the atrocious conditions of garment workers in developing countries.” Inspired by Marxism, All the World’s Futures was explicitly critical of capitalism and consumerism and the state of anxiety generated by its social, political, economic, and environmental consequences. The Art Exhibitions of Viva Arte Viva unfold over the course of nine chapters or families of artists, beginning with two introductory realms in the Central Pavilion, followed by another seven across the Arsenale. 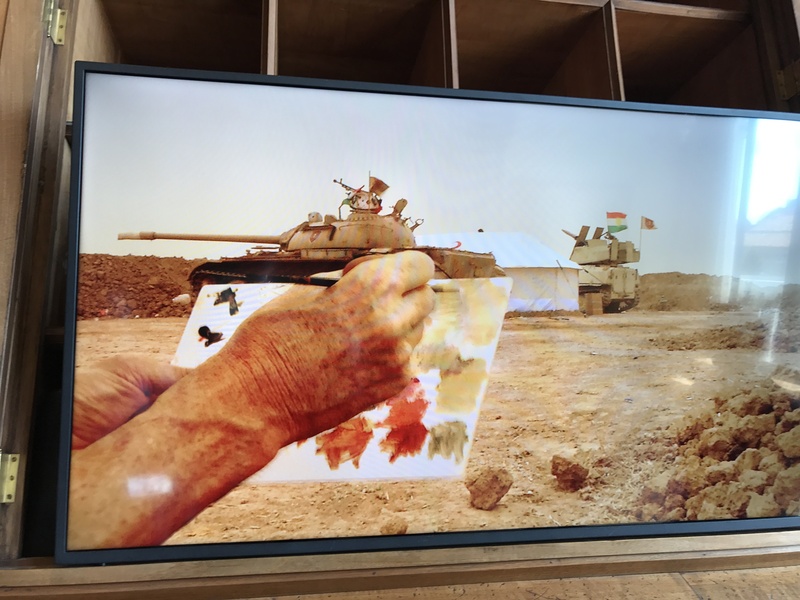 A sharp contrast to All the World’s Futures, Macel’s Viva Arte Viva has been correctly criticized for its lack of addressing the contemporary political, social and economic issues of today with a direct, compelling and passionate collective reimagining of a future. 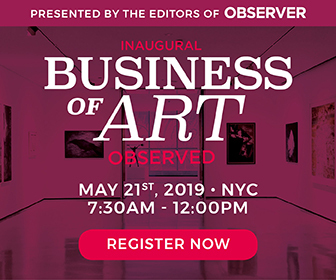 Viva Arte Viva falls far short of its ambitions, and is infinitely less interesting and relevant than the three immediately prior International Exhibitions. I could not agree more with Holland Cotter’s general comment in his May 29 New York Times Review of the Venice Biennale, that Viva lacked relevance to the issues of today, and that the “current market-addled mainstream art world really is, politically out of it”: “particularly Macel’s exhibition is perversely out of sync with the times.” It is not only that it lacks any real coherence, but too often the approach of inclusion and participation is simple. Macel claims that, “Viva offers a route that moulds the artist’ works and a context that favors access and understanding, generating connections, resonances and thoughts.” The artist centered view in a more global context seems short on empathy for the problems the general public is likely to consider relevant to their day to day existence. I was not engaged in this journey. Perhaps the failure of Macel’s journey is that it is a “novel”. This is not the time for fiction, but for engagement with and resistance to the stark realities of the existing political, economic and social structures of “now”. Macel’s curatorial exercise lacks any obvious underlying political or aesthetic philosophical undergirding, which is why it lacks currency. 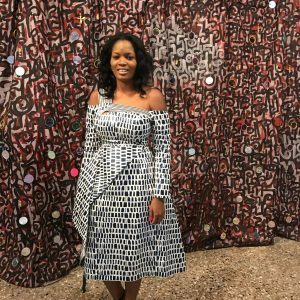 Macel opines that “Art in itself helps us to navigate in these times; its very existence is a resistance in itself.” Fortunately, many of us, including the curators of other pavilions, disagree. From among the 120 invited artists from 51 countries, there are many gems. Macel has obviously worked tirelessly to bring artists from around the world working in all media and from all generations. It is indeed a global selection in a variety of styles, media, and materials. A quick walk-through of the Central Pavilion and Arsenale is worth the effort. Starting with the Pavilion of Artists and Books, the Exhibition purports to reveal its premise: a dialectic that it claims, involves the whole of contemporary society, beyond the artist himself, and addresses the organization of society and its values. Macel succeeds less in this aspect than in her intent to focus on the artist, the questions they ask, the practices they develop and the ways of life they chose. She states that the ideal introduction to the journey is the Pavilion of Artists and Books. Here it is for the spectator to ask what it means to be an artist today. McArthur Binion, an American artist based in Chicago, is interviewed in the Pavilion of Artists and Books discussing his paintings on view and his process of creation. The National PavilionsThe Biennale is more than the International Art Exhibition. 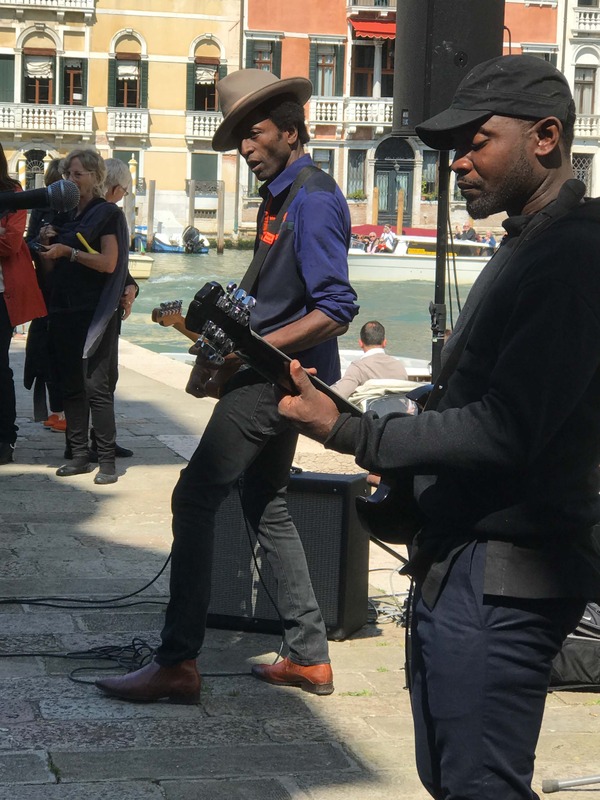 The Venice Biennale also includes 86 National Participations in the historic Pavilions at the Giardini, at the Arsenale and in the historic city center of Venice. 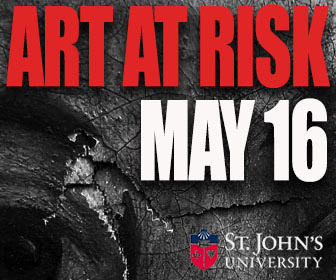 Three countries are participating for the first time: Antigua and Barbuda, Kiribati, and Nigeria. 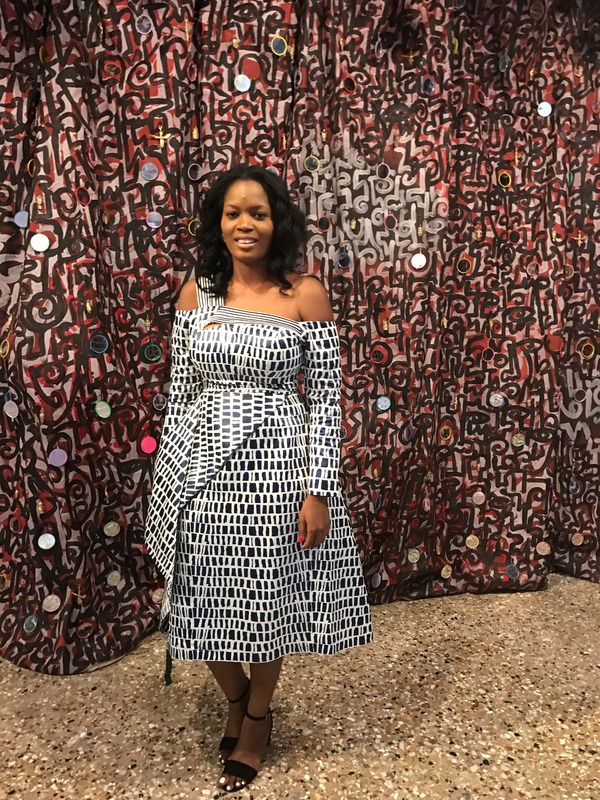 While I did not have occasion to visit the first two, I was privileged to attend the performance and press openings of Nigeria. As in the past, the very notion of a national pavilion has always provoked a response in one or more national pavilions. 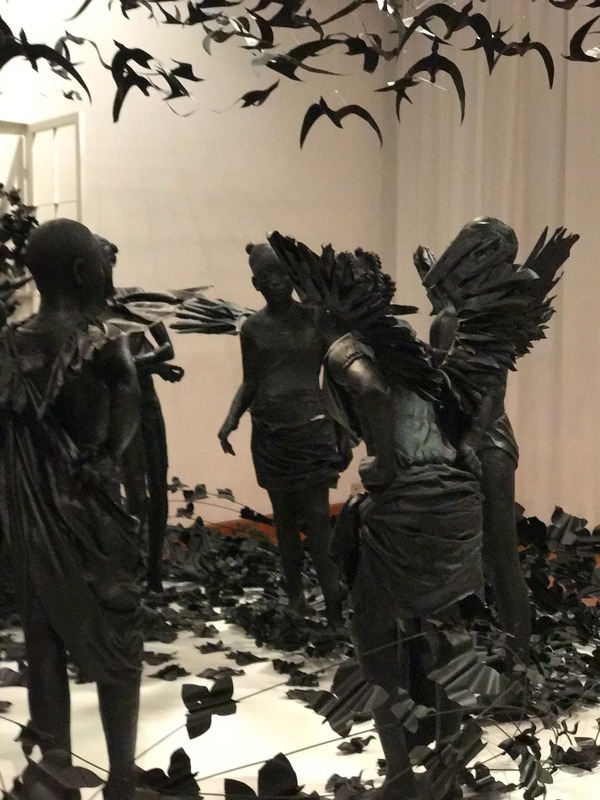 In this Biennale, themes of the impact of globalization, personal identity, national identity, and politics are also evident. In many respects, the National Pavilions selected below, address more explicitly the political, economic, cultural and social issues and more directly address the role of the engaged artist and contemporary art in changing the world. If the International Art Exhibit of Macel fails in its intention to engage and be relevant, the pavilions below are well worth the journey. The Korean Pavilion, Artist Lee Wan, interview with Lee Daehyung, Curator. The Dutch Pavilion, Artist Wendelien van Oldenborgh, interview with Lucy Cotter, Curator. Featuring three filmic works, Cinema Olanda operates in the cracks between the projected image of the Netherlands as a transparent avant-garde country and its reality today as a complex and rapidly transforming social, cultural and political space. The works shed light on underexposed aspects of the Netherlands’ recent history. The Australian Pavilion, Curated by Natalie King, Artist Tracey Moffatt. In Ghost Ship, Moffatt creates an alternative narrative of aboriginal history to challenge the colonial narrative. 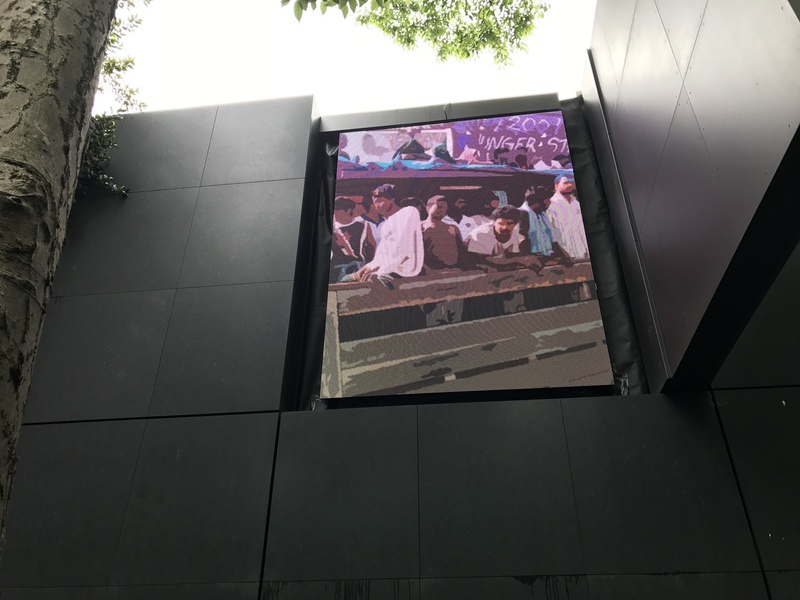 “I am excited to rise to this challenge and create an exhibition that will stimulate debate on issues of urgent political and social relevance in Ireland and across the world,” Jones is known for her practice that focuses on the embedded political and social history within everyday life. She is interested in the moments when this hidden history comes to the surface, such as the demonstration or strike. Tremble, Tremble was inspired by the death of a young Indian doctor living in Ireland who died when she was not able to get a life saving abortion. Her death sparked a women’s protest movement to amend the Irish Constitution to give a woman control of her body. Its title is inspired by the 1970s Italian wages for housework movement, during which women chanted “Tremate, tremate, le streghe sono tornate! (Tremble, tremble, the witches have returned!)”. “The exhibition, ‘Archaic’, shows the work of eight Modern and contemporary Iraqi artists in dialogue with 40 ancient Iraqi artefacts drawn from the Iraq Museum and spanning six millennia, from the Neolithic Age to the Parthian Period. Most of these objects have never previously left Iraq, excluding a few that were recently recovered after the 2003 lootings of the Museum. Ali Arkady is a photographer and filmmaker and became a photojournalist in 2010. Ali’s work fills the void left behind by decades of dictatorship and censorship that stopped Iraqi culture from developing a modern voice. In the catalog essay, Ed Kashi states, “Iraq’s history is ancient, in some cases representing the beginnings of Western civilization to agriculture, culture, science, poetry and art – the dictatorship set. Violence and meddling of outsiders in modern times have shunted this history aside “as a Syrian composer recently said, “in the Arab world the concept of citizenship does not exist. We are not citizens but consumers that are conceived by dictatorship”. After a crisis to control of vast areas of northern Iraq in 2014, Arkady began recording regularly from the frontline. He was embedded with the Iraqi security forces in the recent operations to expel Isis from Mosul. In 2015 and 2016 he led a UNHCR community project, teaching photography to Yazidi women in Iraq refugee camps. The curator has stated that “Transporting us across centuries, each artist addresses a different facet of Nigerian history, seeking to situate themselves in the present, in a ‘now’ that captures and corrects history, and which looks to use artistic expression to guide the future — a future of volition, where identity is shaped rather than forced.” Their work seeks to use the narrative of the present to interrogate the minefield of societal consciousness in addressing aspects of identity and belonging as it relates to and confronts the Nigerian past. 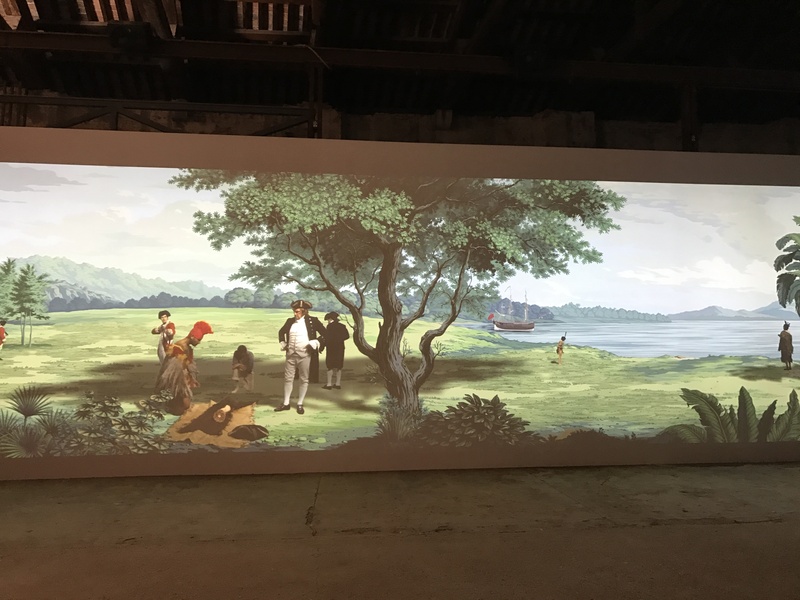 In Pursuit of Venus [infected], 2015–17, is the cinematic centrepiece of exhibition Lisa Reihana: Emissaries. Lisa Reihana in the New Zealand Pavilion also calls into question colonial narratives and histories. 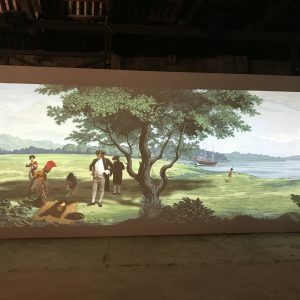 “The vast panoramic video is a filmic reimagining of the Neoclassical French scenic wallpaper Les Sauvages de la Mer Pacifique, 1804—1805, also known as ‘Captain Cook’s voyages’. In Neoclassical France, entrepreneur Joseph Dufour used the latest printing innovations to commercially produce the sophisticated twenty-panel scenic wallpaper. Mirroring a widespread fascination with the Pacific voyages undertaken by Captain Cook, de Bougainville and de la Perouse, its exotic themes referenced popular illustrations of that time. 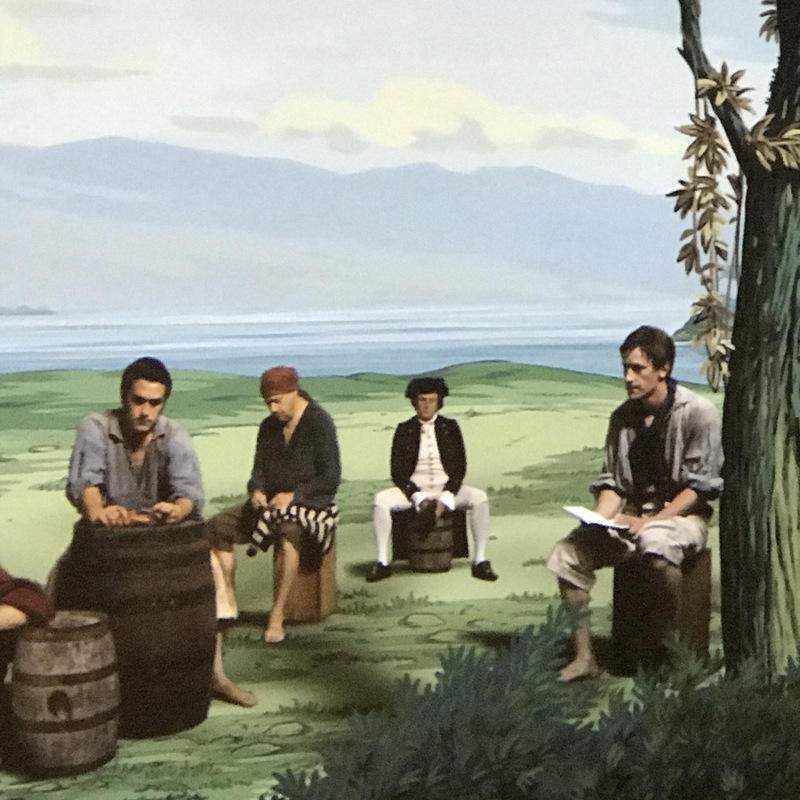 Two centuries later, Reihana employs twenty-first century audio-visual technologies to animate the wallpaper with real and invented narratives in a cultural endeavor of reclamation and reimagining. The artist re-casts this original European fabrication of the Pacific to suggest a more complex story. 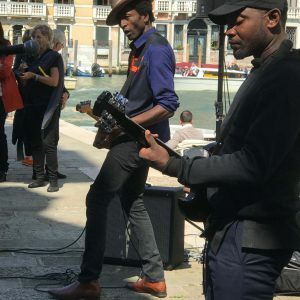 Venice has a number of temporary exhibitions well worth a visit even if you are not otherwise Biennale tempted, not to mention the vast treasures of Venice itself. To coincide with the 2017 Venice Art Biennale, Axel Vervoordt and Daniela Ferretti, Director of the Palazzo Fortuny, will present their sixth and last exhibition: Intuition. Organised by the Axel & May Vervoordt Foundation and the Fondazione Musei Civici di Venezia, the exhibition explores how intuition has, in some form, shaped art across geographies, cultures and generations. It brings together historic, modern and contemporary works related to the concept of intuition, dreams, telepathy, paranormal fantasy, meditation, creative power, hypnosis and inspiration. Vervoordt describes Intuition as the ability to acquire knowledge without proof, evidence, or conscious reasoning: a feeling that guides a person to act in a certain way without fully understanding why. This acclaimed series at the Palazzo Fortuny co-curated by Axel Vervoordt and Daniela Ferretti began with Artempo (2007), In-finitum (2009), TRA (2011), Tàpies. Lo Sguardo dell’artista (2013) and Proportio (2015). Artempo, “Where Time Becomes Art” was the first large exhibition Axel Vervoordt curated which gained worldwide acclaim. 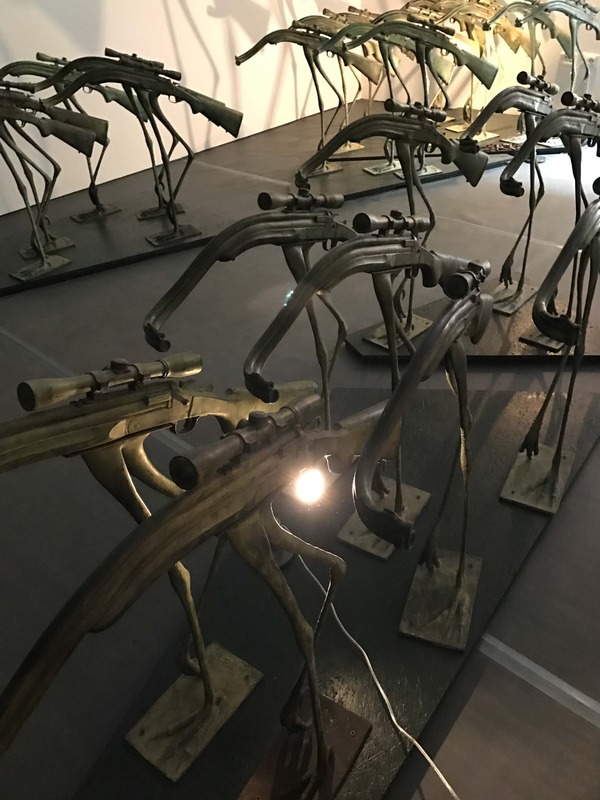 Artempo examined the relationship between art, time and the power of display, representing a breadth of cultures and periods and featuring over 300 objects ranging from rare archaeological materials to contemporary installations. 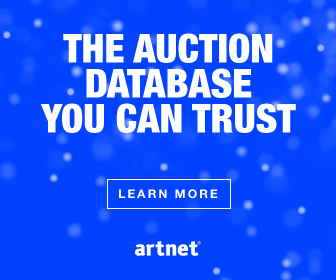 The work of over 80 artists included Francis Bacon, Alberto Burri, Lucio Fontana, Alberto Giacometti, James Turrell, Pablo Picasso and Andy Warhol. It began a new way of curating and looking at works of art and objects as works of art. 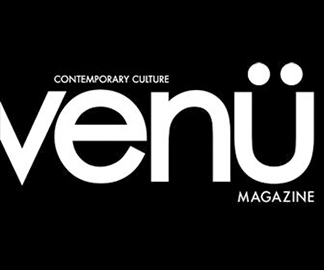 It was a milestone in curating with its blend of centuries, artistic insights and ideas, conversations amongst artists and objects and works of art. The curator’s vision paired with extraordinary connoisseurship, provided powerful objects and works of art which communicated to the viewer without text or wall label. Each of the curated thematic exhibitions which followed met this high standard. There is a lesson ere as to why Macel’s curatorial effort may fail, where Vervoordt’s has gathered praise. Intuition begins here with the creator. As a concept it is artist centered and about art. That is the beginning of the curatorial journey. It is not the end. A wonderful exhibit at the Gallerie dell’ Academia, Philip Guston and the Poets, not only explores Philip Guston’s paintings to draw parallels between the essential humanist themes of his work with the language and ideas of the poets that he loved – Eliot, Yates, Wallace Stevens, but it also reveals the surprisingly profound importance of Italian painting on an artist usually regarded as quintessentially American. It is especially appropriate that Guston’s Venetian debut is taking place in the Accademia which was apparently one of his favorite places. One of the foremost American artists to emerge from the 1940s, a decade that saw the rise of abstract expressionism, Mark Tobey (1890–1976) is recognized as a vanguard figure whose “white-writing” anticipated the formal innovations of New York School artists such as Jackson Pollock. This unique form of abstraction was the synthesis of the artist’s experiences living in Seattle and New York, his extensive trips to Hong Kong, Shanghai, Kyoto, and Europe, and his conversion to the Bahá’í faith. Get your plane ticket and visit Venice before November 26th!